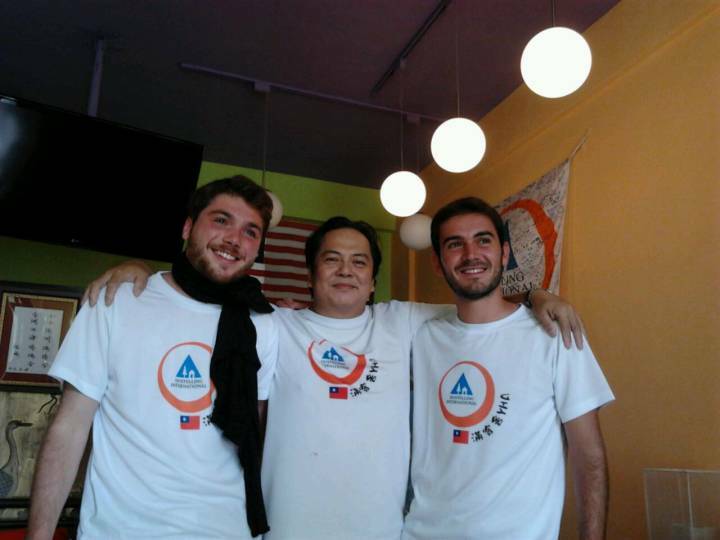 We are in the top 10 highest ranked hostels in Taiwan located on a beautiful Penghu Island. Penghu Moncsor Hostel, located on the outskirt of Magong City, is a recognized provider of safe, affordable accommodation. It is about 15 minutes to get to Magong Airport and 3~5 minutes to get to Magong Downtown (Jhongjheng Rd. Commerical Area) or neighboring tourist attractions, such as Penghu Living Museum, Magong Harbor, Guanu-Yin-Ting, Fisherman’s Wharf, Star of Jyudao. The hostel is (within walking distance) close to famous hotels, such as Pescadores Hotel, Penghu; and Dolphin Bay Resort. There is a 7-11 convenience store in front of the Hostel. 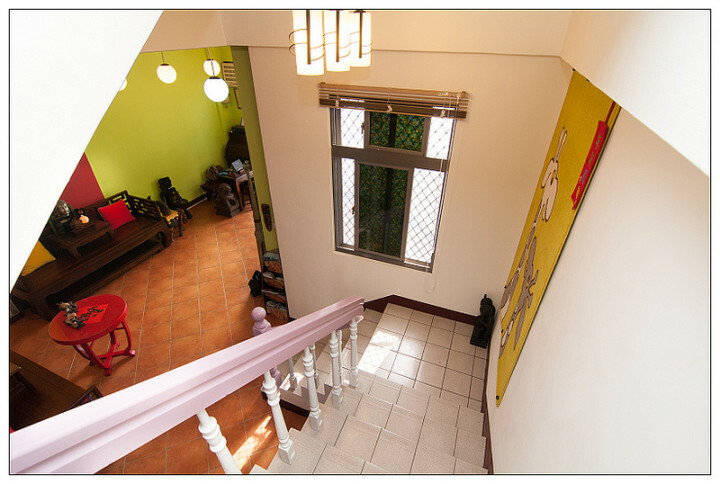 The southeast-facing hostel is a 4-story purple-colored townhouse, with 6 bedrooms and 4 bathrooms. The hostel can accommodate 21 tourists. Besides, we offer 1) a free parking area, 2) a recreation area (with a PC with Internet access and free Wi-Fi service), 3) a dining area, and 4) a DIY-guest kitchen (complete with kitchen appliances, utensils etc.) - we do not provide breakfast. 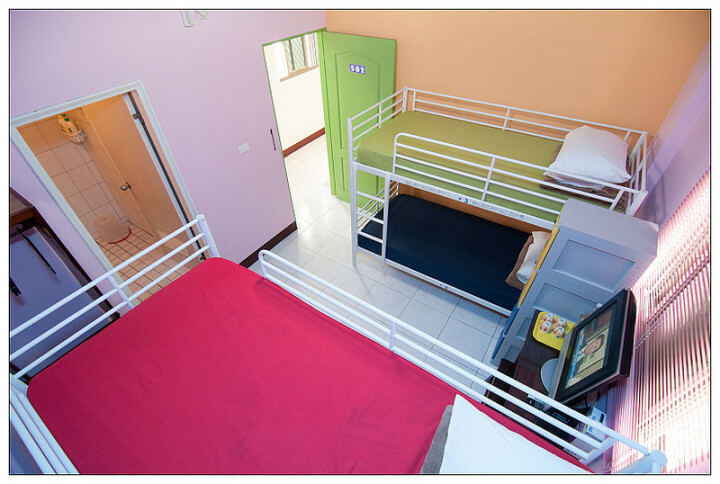 There are three types of rooms from which to choose: backpackers-rooms (bunk beds), a comfort-room ( a double-bed) and a triple-room (a bunk bed with a single-bed). 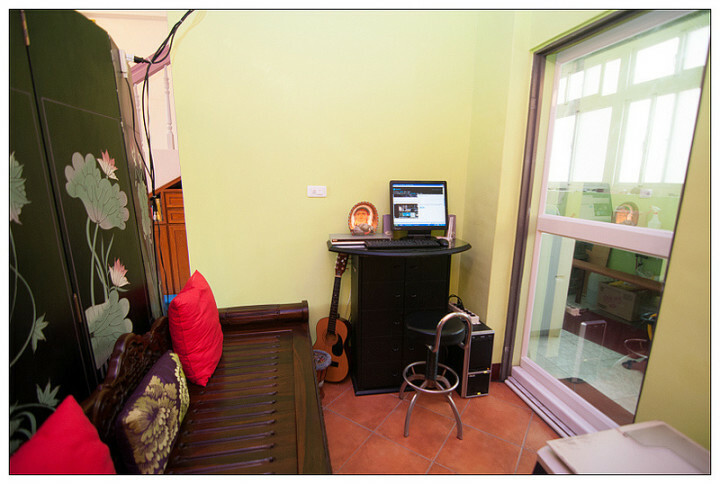 All the rooms have a view of the beauty and serenity of the neighborhood. 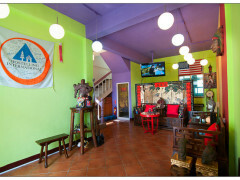 The hostel has the maximum capacity for 21 guests. Cozy hostel suffuses Chinese taste, and the newly refurbished rooms (with door chain, personal locker for safety first ) are a good choice for budget-minded travelers to Penghu. The rent is varied based on the type of the room (please check the prices as below). Hope all of you can have a wonderful trip in Penghu. 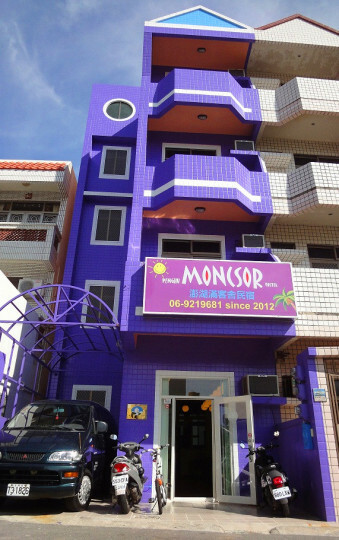 If you want to choose Penghu Moncsor Hostel, it will be our honor to take care of you. Our number one priority is giving all of our guests an excellent holiday in Penghu. 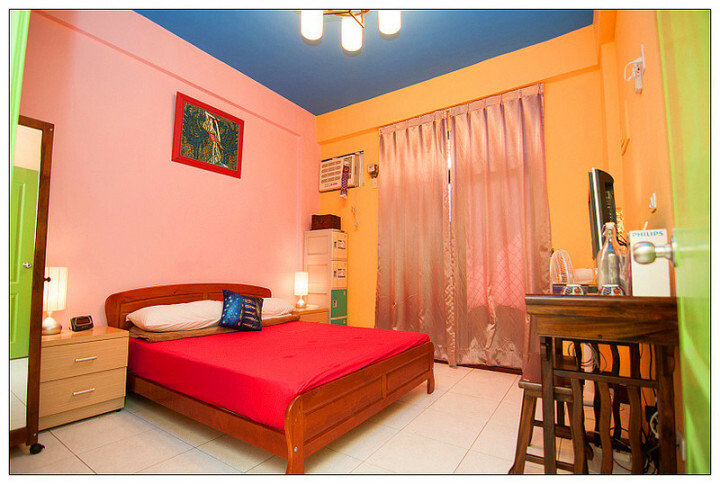 Our philosophy is to offer simple accommodation in clean and homey rooms for a budget price. Feel free to contact us. For more information about the rooms. Please click the link. modern facilities – such as small-item lockers with combination lock. The spacious family-room rental (comfort-room + triple-room) is a good choice for family travelers. The rooms are located on the second floor, and there is an additional partition door to separate them from the rest of the floors to secure more privacy. There are 4 bathrooms (shower, WC, washbasin) in the hostel. Two are private ones; the others are public ones. The public bathrooms are separate for boys and girls. All bathrooms (with hot water 24 hours) are lockable to ensure your privacy. You will find toilet paper, shampoo, and shower gel in all bathrooms. We don’t provide toothbrushes, toothpaste, or bath/face towels not only for the sake of personal hyginen but for showing our support for the global environmental problems facing the world today. Notes: We offer chargeable laundry. 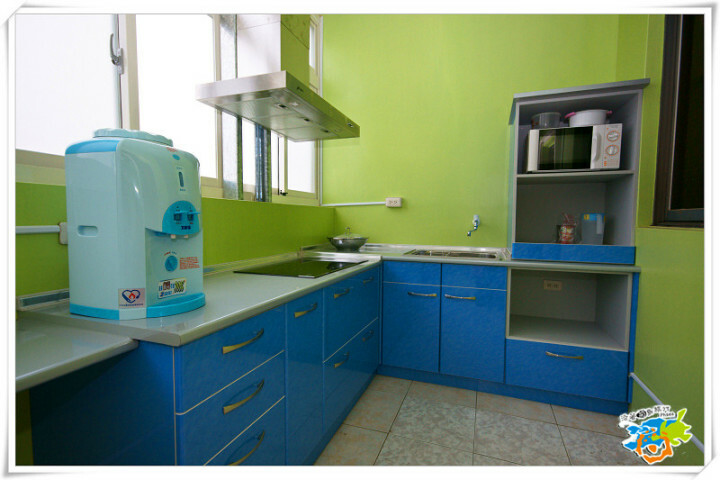 We offer a DIY guest kitchen, complete with kitchen appliances, utensils etc. It is open all day, so just help yourself and enjoy or use our full kitchen and prepare your own food, but please clean up the kitchen and kitchenware straightaway after use for the next user. In addition, please keep your groceries in your room. Of course, the foods needing to be frozen or cooled can be stored in the refrigerator in the kitchen. Parking for each guest/room is not guaranteed. ※Membership cards shown upon arrival. Membership can be purchased at hostel. 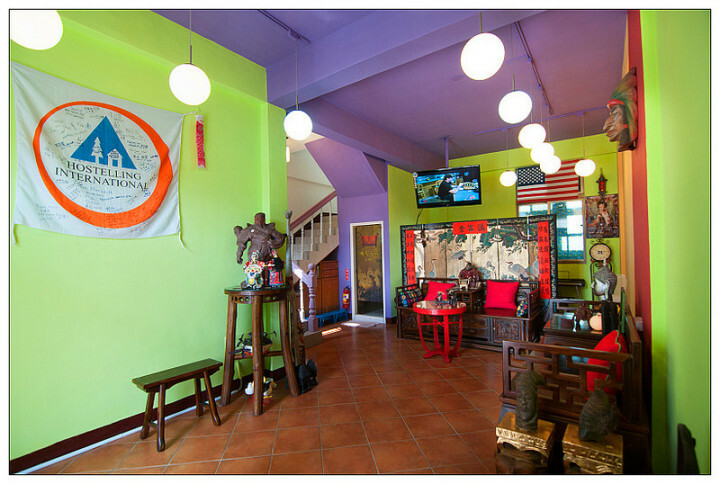 Rates quoted assume guests are members of Hostelling International. A non-member supplement will be charged on arrival at hostel. 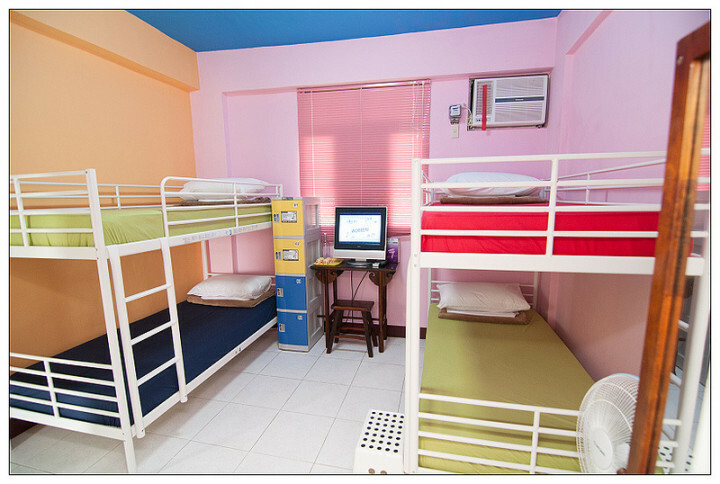 A non-member supplement of TND 90 per person per night is payable on arrival at hostel.